On Monday, July 11, the American yacht Bella PITA glided into Halifax Harbor, just 30 hours, 46 minutes and 52 seconds after departing from Marblehead waters, claiming first place in the Chelsea Clock Mariner Trophy Competition, IRC division. The Bella PITA, a 75-foot yacht which sailed out of Oxford, Maryland, shattered the former record of 33:29:57 set in 1989 by the Starlight Express, a Santa Cruz 70. Aurora, a Reichel/Pugh 66 out of Larchmont, New York, took second place in the IRC division, with a time of 33 hours, 28 minutes and 38 seconds. 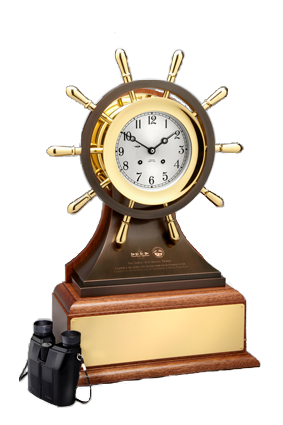 First-, second- and third-place winners in each division of the Chelsea Clock Mariner Competition were presented with engraved Chelsea Clock keeper trophies at a special awards ceremony held on July 14, 2011, at the Royal Nova Scotia Yacht Squadron. In addition, names of first-place winning yachts will be added to the Chelsea Clock Mariner Perpetual Trophy, which will be on display at the Boston Yacht Club. The Annapolis to Newport and Marblehead to Halifax Ocean Races are biennial sailing competitions, and will take place again in 2013. Good topic. The comments are right on.